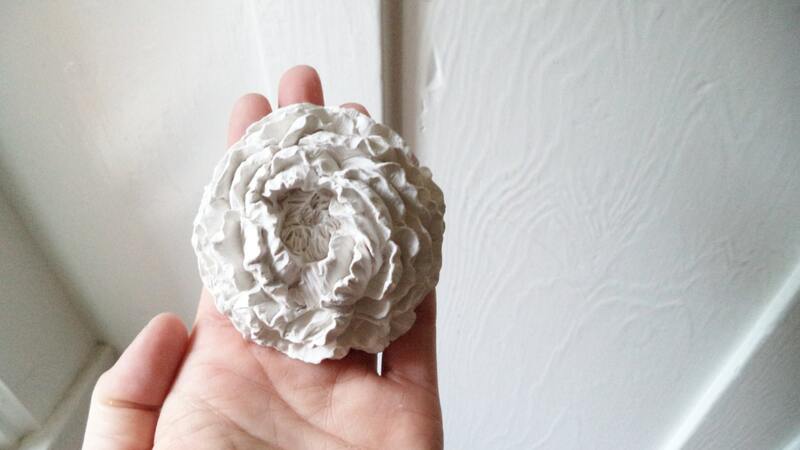 This ruffled Peony is one of my newest flowers for 2016! 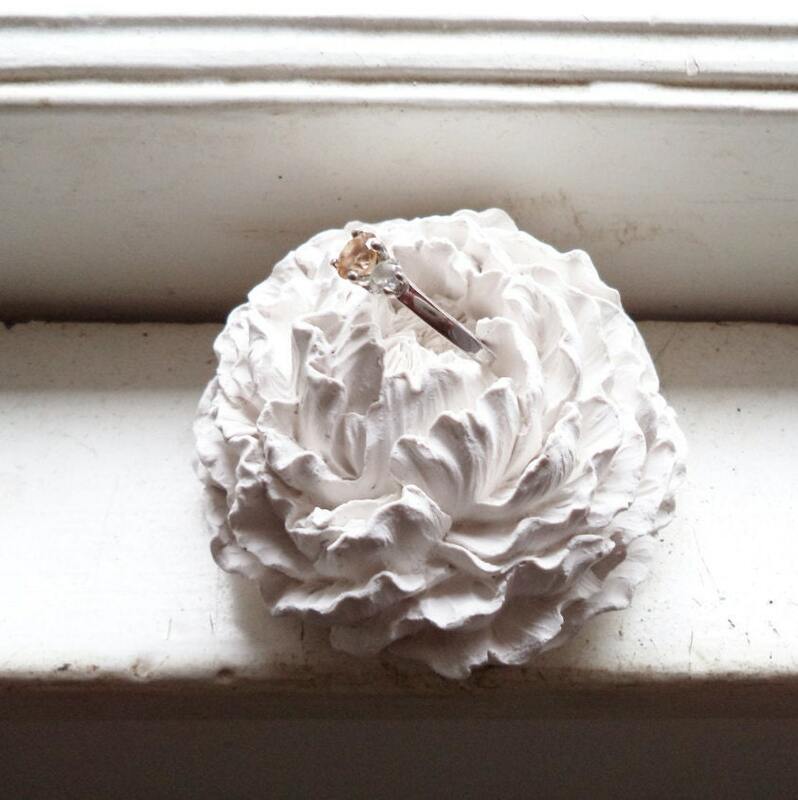 Perfect for a ring, as a modern floral decor accent piece for your desk, or hanging on the wall clustered in a beautiful floral display! 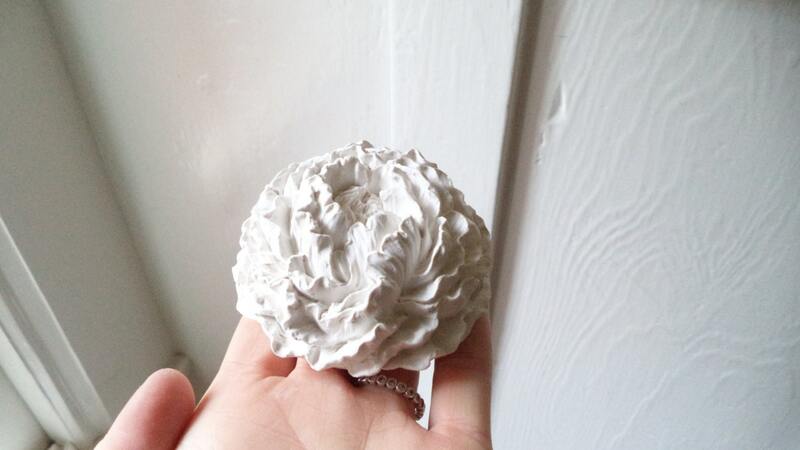 This beautiful Peony flower measures 3" across and 1.5" tall.